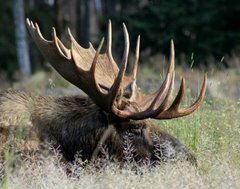 Moose Tracks: Of Course #NeverTrump Is Supporting Hillary! Barring some sort of completely unexpected happening between now and November 8th, either Hillary Clinton or Donald Trump will be elected president. One or both of them could die, and other sundry unlikely things, but there is no way to predict those anyway. Gary Johnson, or Bernie Sanders, etc is not going to be elected. There may be more votes for a 3rd party candidate than other "typical years", or there may not, but let's face it, Johnson isn't going to come CLOSE to what Ross Perot did in '92 with 20%, AND PEROT STILL LOST! Yes, we live in intellectually unserious times when people "identify as". or "think that", or "imagine" an endless number of things like "your vote is a message". No, your vote is a VOTE, for a candidate that either wins or loses. If they lose, then your vote is as worthless as that lottery ticket you bought that paid back NOTHING. You are "investing" a small amount of time and effort to go vote -- just like when you "invest" in a lottery ticket. It pays off with a "win", or it doesn't, and that is that. At least in the case of the lottery ticket, you DO send a strong "message" that you don't understand statistics! If you WANT there to be a viable third party, by ALL MEANS, get BUSY -- elect local candidates of that party, figure out what it's platform is. Build a base of supporters, funders, workers, messaging, etc, etc. When there are say "30" candidates from your desired party in Congress, THEN if you get a REALLY special, well known, etc candidate -- like a less crazy Ross Perot, THEN you have a legitimate chance of casting a ballot for that candidate and WINNING rather than just helping to elect Bill Clinton! I know ... I voted for BOTH Ross Perot and Jesse Ventura! The whole linked column is worth reading -- if you have any fantasies about such foolishness. If not, it too is a waste of time -- time spent trying to make a case the earth is flat is wasted time. All choices have consequences. By supporting Trump, I am responsible for the consequences of a Trump victory -- and those consequences could indeed be dire. But a childish morally-unserious fantasy has infected the #NeverTrump not-so-intellgentsia, that they can agitate for Hillary Clinton -- by relentlessly disparaging Trump -- and somehow, they are not responsible for the consequences of the Hillary presidency they are bucking for. Even the choice to CONSIDER the foolishness that you can be "against Trump", but somehow not helping Hillary has consequences. It means that at least in the case "#NeverTrump you are being intellectually sloppy and allowing yourself to behave in a childish fashion. We ALL do that sort of thing, but claiming that we can do it without consequence is seriously indefensible. When you have a hangover in the AM and you don't believe that it is consequence of your poor choice the night before, you are in in a mentally bad place. The fact that this discussion is even going on, sadly with some people that are MUCH smarter than that (Jonah Goldberg), is yet another sign we are inhabiting an unknown territory called BOistan where logic and meaning have no bearing!